Description: Do you want to implement SBIRT in your Health Center, but not sure where to start? This webinar will discuss various SBIRT implementation models, barriers, and facilitators to implementing and sustaining SBIRT in health centers of varying sizes. Experts from different health centers across the United States and other experienced professions will discuss their lessons learned. The audience will also have the opportunity to ask their questions to the presenters during the live webcast. Understand how SBIRT service delivery has been integrated into routine practice of health centers. Understand the potential barriers/challenges and facilitators that impact implementation of SBIRT in health centers. Be able to describe SBIRT implementation models that fit with health center environment. Marcy Rosenbaum, LCSW, CSAC, is Behavioral Health Director for Southwest Virginia Community Health Systems, Inc. (SVCHS). SVCHS operates four federally qualified healthcare centers (FQHC) with the purpose of providing primary care services to rural Southwest Virginia utilizing an integrated primary care medical home model. Her credentials include Licensed Clinical Social Worker, Certified Substance Abuse Counselor, and a Masters in Social Work from Radford University. She is the behavioral health program director, a trainer, and a provider of behavioral health services. In addition to her expertise with integrated behavioral healthcare, she has a wide range of experience including Clinical Social Worker in a state psychiatric hospital for patients with substance abuse and/or mental illness, Alcohol and Other Drug Abuse Specialist for residential school and training program, and employment in detox units, substance abuse treatment and prevention programs, and child protective services. She has been a trainer/presenter for local, state, and national organizations including Radford University, National and Virginia Associations of Social Work, Mid-Atlantic Telehealth Resource Center (MATRC), Virginia Community Healthcare Association, and Virginia Health Care Association. J Scott Turton, MSW, LICSW, is currently the Director of Primary Care Integration and Electronic Medical Records Implementation for Gosnold on Cape Cod, a multi-site Addictions and Mental Health service on Cape Cod. He received his M.S.W. from Wilfrid Laurier University in Waterloo, Canada and interned in both hospital and community health settings before accepting a position as clinical director with a regional center for HIV/AIDS care. Prior to relocation to the United States, Mr. Turton had been involved in community based research, developing whole language systems for children with autism, EAP, and also maintained a private practice. In 2001 Mr Turton relocated to the United States, where he was accepted a position with Gosnold on Cape Cod. In addition to provision of direct clinical services for both mental health and substance abuse patients, Mr. Turton has presented on substance abuse trends and services, supervises clinical staff, and is involved in the development of Gosnold’s program integration of behavioral health care and primary medical care. Aaron Williams serves as the Director of Training and Technical Assistance for Substance Abuse for the SAMHSA-HRSA Center for Integrated Health Solutions (CIHS) at the National Council for Behavioral Health (National Council). 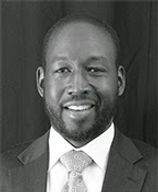 In this role, Mr. Williams leads the National Council/CIHS’ strategic initiatives on substance use screening and treatment, and provides direct training and technical assistance services that promote primary and behavioral healthcare integration with special attention to addiction treatment providers. Prior to joining the National Council, Mr. Williams served as the Associate Director of Research and Information for the Danya Institute, Inc., and the Central East Addiction Technology Transfer Center (Central East) where he was responsible for the management, and dissemination of all research related to Institute endeavors. Mr. Williams has more than 13 years of experience in the field of behavioral health services, with an emphasis on substance abuse treatment, workforce development, and the use of evidence-based-practices in clinical settings. Over this time, Mr. Williams has written and contributed to numerous articles and reports on: drugs of abuse, workforce development of substance abuse professionals, and implementation of evidence-based practices; and demonstrated abilities in developing research plans, training protocols, as well as evaluating program effectiveness. In previous employment, Mr. Williams had the opportunity to work on several substance abuse treatment and prevention related grants and contracts including work on a U.S State Department funded grant to evaluate substance abuse treatment programs in foreign countries. Mr. Williams holds a bachelor’s degree in psychology from Morehouse College and a master degree in psychology from The Catholic University of America.